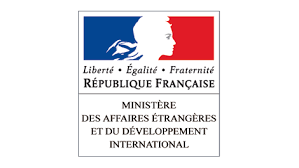 The French Ministry of Foreign Affairs and International Development (Ministère des Affaires Etrangères et du Développement International—MAEDI) coordinates French government aid to developing countries. The total amount of development funds dedicated to media development in 2016 was €8 million. CFI is overseen by the public companies France Télévisions and Arte France under an annual agreement with the French Ministry of Foreign Affairs and International Development. CFI cooperates closely with France’s diplomatic network, particularly with its Cooperation and Cultural Action Network (Le réseau de coopération et d’action culturelle). CFI’s annual budget in 2016 was approximately €10 million In addition to the €8 million it received from the French government, it also received €2 million from the European Union. The CFI website offers detailed information and access to numerous publications and other resources—many at this “kiosk” of CFI publications. Pluralism through media training to improve production and dissemination of information. Sustainability by supporting strong business models that assure media survival and help ensure journalistic independence. Human resource development that helps professionalize individual media practitioners through MOOCs, online courses, and other training. Support of development goals by helping media produce high quality content addressing climate change, gender, sustainable development, the ﬁght against pandemics, and other related issues. CFI’s first step in considering any media intervention is understanding the project’s context. Demand is usually gathered through historic national links, especially in sub-Saharan Africa and MENA region, or by calls for proposals. A speciﬁc project plan is agreed by CFI’s regional teams and media partners to meet the needs identified. Media development support from CFI is complemented by investment from beneﬁciary media, ranging from buying new equipment to hiring staff to paying for a typically small portion of the project. For the past several years CFI has invested in what it calls 4th media (4M) projects, which refer to online, digital initiatives. These have included helping newspapers in several Arab countries to develop online editions, as well as online media development in the Caucasus. Another is MOOC Afrique Innovation, which is open to French-speaking journalists and web developers. CFI has also invested in the modernization of public media in western and northern Africa. CFI told CIMA, these projects have been less successful than hoped in transforming media structures closely linked with governments, especially in countries facing major crises. CFI has sought to help strengthen public governance in these countries by supporting online media. Traditional media are losing ground as new media gain popularity and helps open media landscapes to greater freedom of expression, interactivity, and public debate. CFI has supported programming in countries facing or seeking to recover from crises, and/or facing challenges of democratization. In Benin, Burkina Faso, Cote d’Ivoire, Mali, Senegal, and Togo, these focused on preventing the spread of Ebola. CFI received European Union funding to launch a media incubator for independent Syrian media outlets in 2014. More than 200 professionals from about 20 outlets have received support, training, and strategic advice. In Algeria, Morocco, and Tunisia, Shabab [Youth]! Up Radio promoted professionalization of independent radio stations. In Burma, the creation of a local radio training institute was supported in an increasingly open media scene. 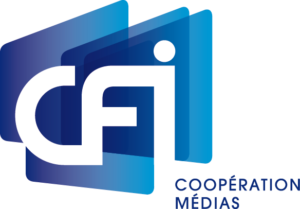 From 1990-2015, CFI also acquired content, principally documentaries, news, and children’s programs, that was then offered to selected broadcaster partners in Africa, MENA, and Eastern Europe. This program covered only Africa in its last five years, and ended because broadcasters worldwide can now access quality content in the marketplace. CFI’s overall budget decreased as its content distributor role wound down, but spending on media development had risen steadily over the past five years, and is expected to grow further as CFI implements more programs on behalf of multilateral donors. CFI conducted a set of evaluations in 2011 to assess its projects’ impact. This helped inform CFI’s transition from short and largely reactive interventions to much more structured 18-36 month projects with shared objectives for beneﬁciary media and CFI. A new evaluation strategy is being developed to assess this revised approach’s impact. To better shape its interventions, CFI is also now conducting dialogues with beneﬁciaries to better understand what content people today have access to and what type of content they would prefer to have in order to be well informed and able to participate in a meaningful way in debate regarding their country’s future.